In collaboration GIZ under the Sustainable Freight Transport and Logistics in the Mekong Region Project, GFA provided a workshop in Ho Chi Minh, Vietnam last 8 October 2018 and in Yangon, Myanmar last 15 October 2018. The workshop included an overview of the country’s road freight sector, why green freight matters, an overview of GFA programs and available financial schemes. 26 executives – mostly managers and directors -from 23 companies including H&M had participated in the workshop. The majority of the participants were from trucking companies who were familiar with green freight and were highly eager to know about the GFA Label and the certification process. The workshop concluded with the participants expecting GFA to provide sharing session opportunities, continued guidance on the GFA Label application and assistance in availing government's financial schemes. 24 participants from 18 transport companies joined the session. For most of them, the green freight concept is new and they were interested to know how green freight can be scaled up in Myanmar with GFA. Interestingly, the breakout session results revealed that this group expects GFA to hold more outreach and training sessions in Myanmar and for GFA to work with key government agencies - i.e. with Ministry of Transportation for tax reduction; with Ministry of Energy and Electricity for cleaner fuel and with Ministry of Construction for road improvements. At the GFA Forum, we launched the new GFA sticker for vehicles. 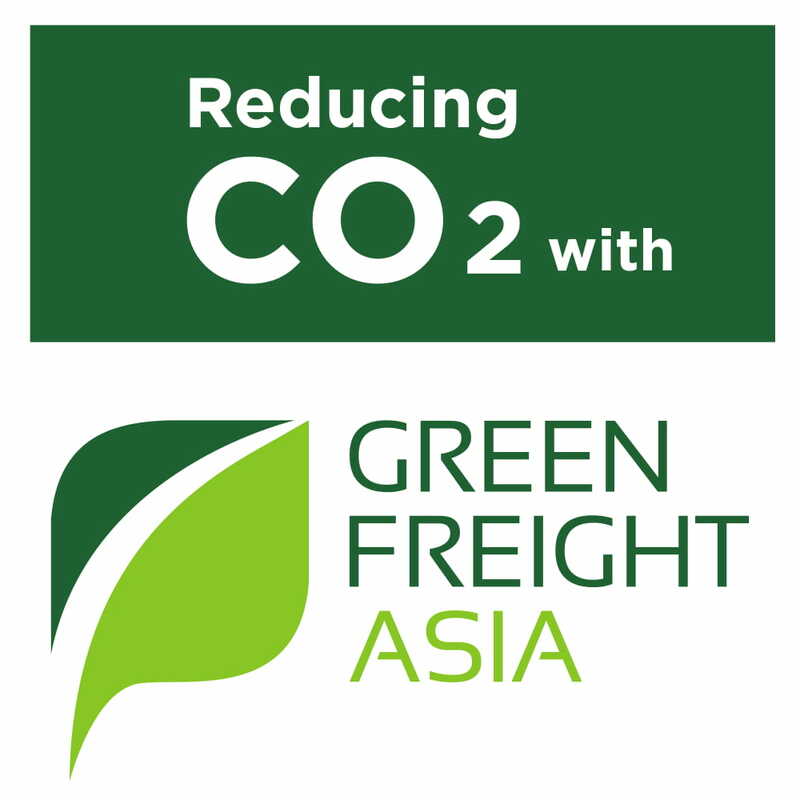 Members of GFA can use this sticker on their vehicles to promote their commitment to green freight movements in the Asia Pacific. Companies that attended the GFA Forum received a sample of the sticker. In case you are also interested in using the GFA sticker for your fleet, then please get in touch with us. "We are planning to put these stickers on our 200 trucks. 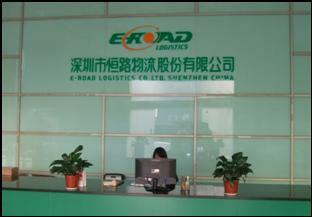 We actually are very proud to be a member of Green Freight Asia. We have been learning a lot from other members and we are also committed to our best in aligning ourselves with GFA's directions." We recognize that transitioning to a clean and low carbon transport future not only requires policy support and market participation but also financial support. 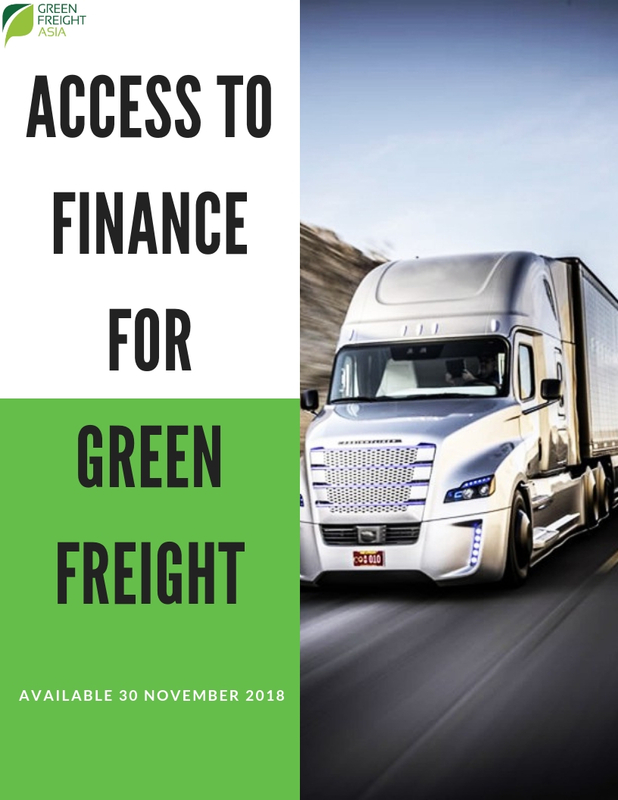 To support our members, we will launch our research report “Access to Finance for Green Freight” on November 20 2018. This report introduces where, what, and how companies can access 'green funds' to support their green freight programs and accelerate their transition towards sustainable road freight. Email to info@greenfreightasia.org if you wish to have a copy. 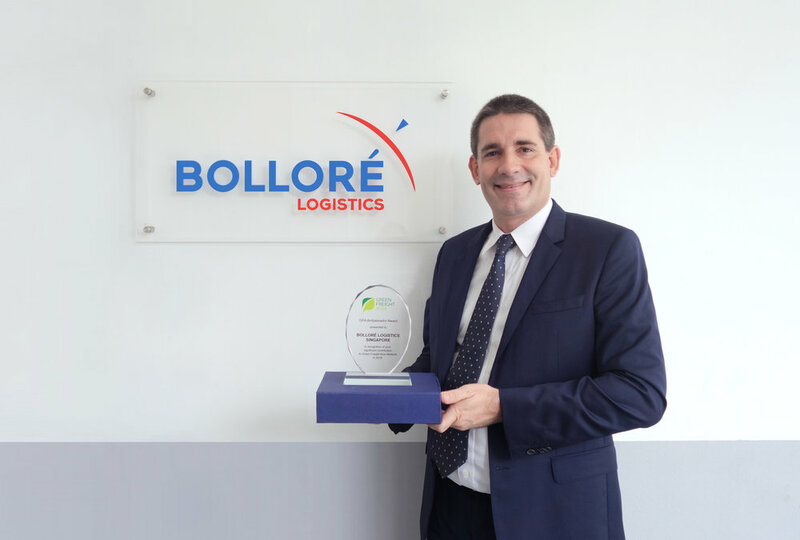 Green Freight Asia held its 3rd Green Freight Leader's Society assembly last 2 August 2018 and was hosted by its member company, Bollore Logistics Singapore. About 20 senior executives from a dozen organizations attended the gathering where they learned about Bollore Logistics' green initiatives and also GFA's programs. One of the main discussions of the night was on current and future sustainable practices in Asia-Pacific. The 2-hour informal gathering ended with dinner at the rooftop garden where everyone had a good time knowing and connecting with each other. We greatly appreciate Bollore Logistics for hosting our 3rd GFLS assembly this year! Leaf 3! This award is a testament that the business unit has passed the criteria for regular vehicle maintenance, the use of green technologies to improve fuel efficiency and to reduce carbon emissions and lastly for providing eco-driving training to its drivers. It's no surprise that DHL Japan receives this GFA Label –Leaf 3 award as the company has an extensive sustainability drive under its GoGreen program. Kudos to Shanghai Transwin Logistics too! 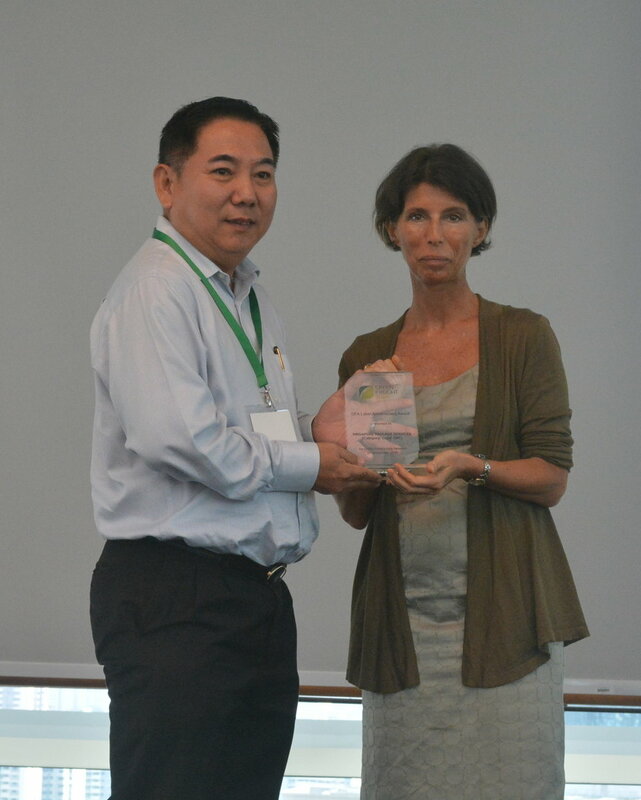 The transport and logistics company received the GFA Label - Leaf 2 this month. 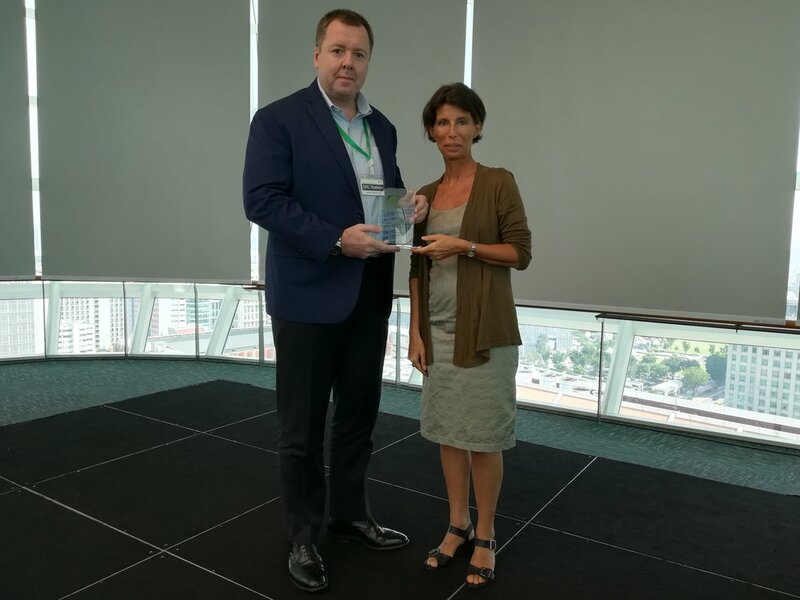 This award is an improvement over their previous GFA Label status, which was Leaf 1, and is an indicator of the company's commitment and progress for green freight practices. Now, Shanghai Transwin employs fuel and carbon reduction in its vehicles and also provided eco-driving training to its drivers. Increasing road freight fuel efficiency is one of GFA’s core mission. In Asia, the cost of the fuel use is also usually increased by the prevalence of poor driving patterns such as speeding, idling, and disregarding safe driving practices. GFA strongly believes that apart from efficient truck technologies and logistics management solutions, driver capacity building is integral to improving fuel economy. To support its members, GFA held a complimentary eco-driving training program in Singapore last 28 May 2018. 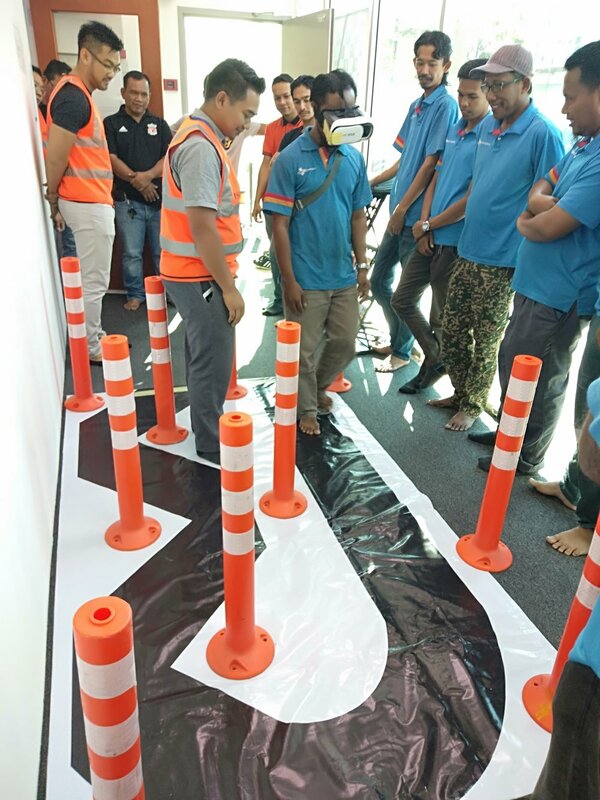 Close to 20 drivers and fleet managers from 9 transport companies joined the half-day training session facilitated by AAS Academy. 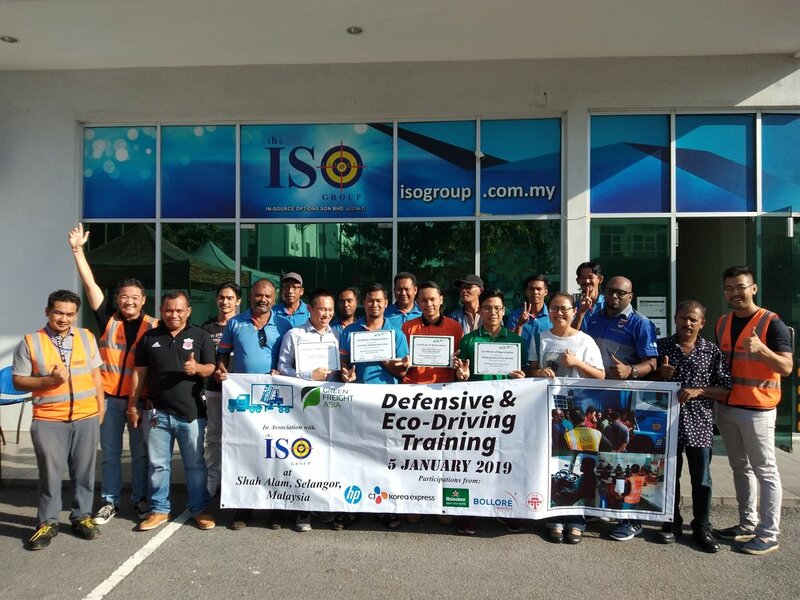 The training highlighted the benefits of eco-driving, proven eco-driving techniques covering vehicle use, vehicle maintenance, and vehicle choice, and most importantly how to calculate fuel savings. The session also includes a training on Speed which reminded attendees of the psychology of speeding, speed limits and impact. GFA also would like to thank its member, Bollore Logistics not only for helping us organize the training and inviting their transport providers but also for sponsoring the training venue and the food and drinks for all the training participants.